(Along the lower slopes of the mountains above Loch Ness). (Ascent to 300 m, looking down to Loch Ness). that cuts diagonally across Scotland from south-west to north-east. scenery of loch and majestic mountains. added bonus of a potential Loch Ness monster sighting! 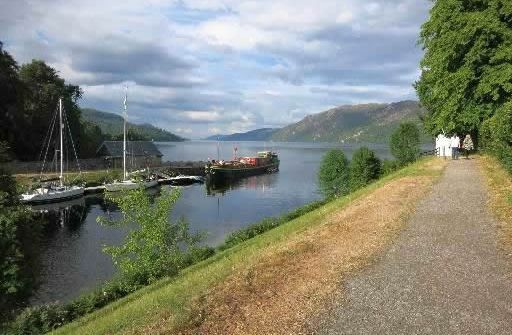 • Loch Ness gezien vanaf Fort Augustus.